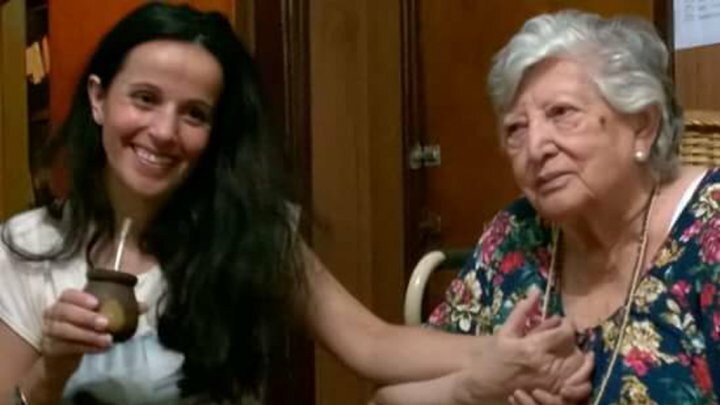 Argentine activist Maria Isabel Mariani, known as Chicha ,who spent nearly half of her life looking for her missing granddaughter will need to resume her search after a case of mistaken identity. Chicha Mariani, 92, announced on December 24 that she had finally met her granddaughter. Clara Anahi Mariani Teruggi was abducted by the military in 1976. But a prosecutor working on the case said Chicha Mariani had been introduced to the wrong woman. The announcement on December 24 was hailed as another triumph for the campaign group Grandmothers of the Plaza de Mayo, which was formed to reunite families with their missing children. On December 26, DNA tests were released showing that the woman Chicha Mariani met was not her missing granddaughter. “There is no genetic match between Ms Mariani and her alleged granddaughter,” said prosecutor Pablo Parenti, Head of the Attorney General’s Unit for Cases of Child Appropriation. Chicha Mariani founded her own organization, the Anahi Foundation, which includes one of her granddaughter’s names, after stepping down as president of the Grandmothers in 1989. Results from an official bank of genetic samples were negative. Chicha Mariani, who is nearly blind, is devastated, said Anahi Foundation spokesman Juan Martin Ramos Padilla. “It was a hard blow for Chicha,” he said, adding that she is determined to carry on. Chicha Mariani’s granddaughter was abducted 39 years ago at just three months old. Her parents, Daniel Mariani and Diana Teruggi, were members of the Montoneros left-wing group. The baby was taken from their home in an operation in which Diana Teruggi was killed. Chicha Mariani’s son, Daniel, escaped but went into hiding and was killed a few months later. There is no suggestion that the woman who met Chicha Mariani had attempted to deceive her. The Buenos Aires Herald identified her as Maria Elena Wehrli. Maria Elena Wehrli arrived at Chicha Mariani’s house on Christmas Eve with the results of a DNA test carried out by a private laboratory,” said prosecutor Pablo Parenti. “The National Genetic Database is the only body authorized to determine the identity in these cases,” he added. The Grandmothers encourage children who were born during the military government, between 1976 and 1983, and have any doubts over their identity to come forward and do a DNA test. The organization has already reunited 119 children to their families, the most recent last month. Most pregnant women arrested by Argentina’s secret police were killed shortly after giving birth. Some 500 children were abducted from their mothers in captivity. They were often given for adoption for non-communist families. In other cases they were just handed over to orphanages. Some of the adoptive parents knew of their children’s backgrounds, but many of them did not. Some 30,000 people are estimated to have been killed during more than seven years of military rule in Argentina. An Argentine man has been detained after police found he kept his wife and adult son locked up in a dungeon for several years with unlawful imprisonment. 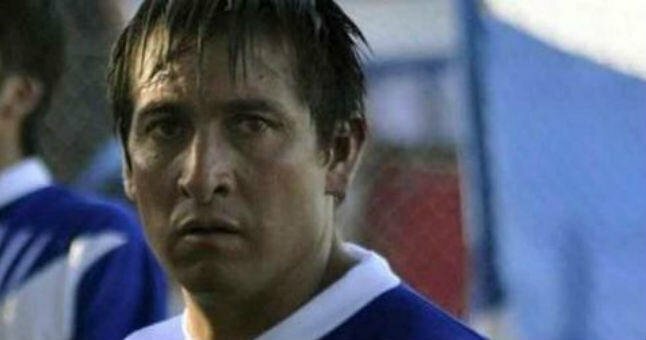 They say the filthy cell at the back of Edgardo Oviedo’s home in the coastal city of Mar del Plata had an iron door, locked from the outside. The room had plates of dog food police believe was given to the woman and her son. Edgardo Oviedo, 66, put up no resistance when police raided the house on September 4. He denies the charges. The authorities say the woman has psychiatric problems and her son, who is 32, can barely speak. Edgardo Oviedo, a construction worker and a former union leader, was arrested after a tip-off from two other sons, who live in the same neighborhood. They said they had initially been too scared of their father to report him. Prosecutor Alejandro Pellegrini said the house had “a room in the worst of human conditions”. 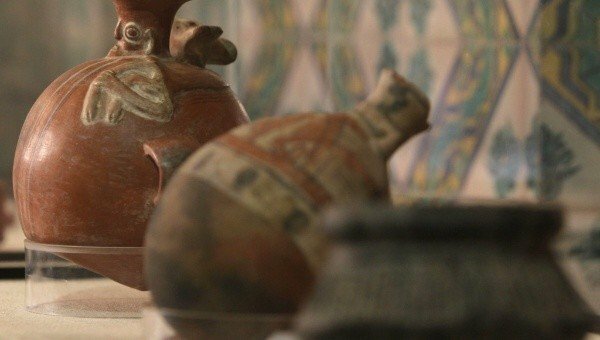 Argentina has announced it will return more than 4,000 archaeological artifacts to Peru and Ecuador. The artifacts had been stolen and should be returned to their rightful owners, Argentina’s President Cristina Fernandez de Kirchner said. “We are doing something unusual, really special,” she said during a ceremony at the National Museum of Fine Art in Buenos Aires. Cristina Fernandez urged other countries to follow the example. “It is an honor and a pleasure to restore the cultural wealth of countries such as Ecuador and Peru in a world where such wealth has so often been taken away,” said the president. The announcement was made during a ceremony in Buenos Aires, in the presence of the Ecuadorean and Peruvian ambassadors. Cristina Fernandez de Kirchner said Argentina was the first South American nation to make such gesture. However, she did not specify when the artifacts would be returned. In 2014, the University of Yale in the United States returned dozens of Inca artifacts. The university had reached a deal in 2011 to return thousands of items after a long dispute. The artifacts had been taken from the Incan 15th Century citadel of Machu Picchu by American explorer Hiram Bingham in 1912. The world’s biggest handmade Easter egg has been unveiled in Argentina. 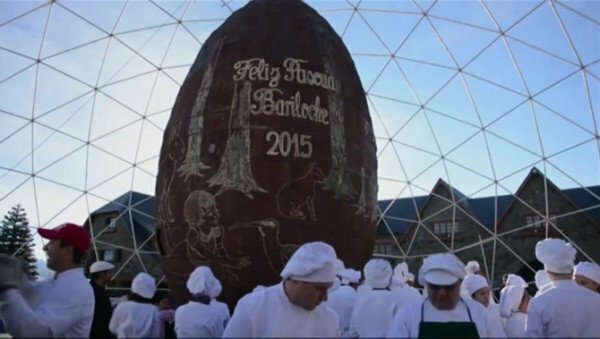 Tens of thousands of people have gathered in Bariloche to taste the chocolate egg. Bariloche tourism office says 17,600 lbs of chocolate were used to make the egg, which stood 27ft high. The controversial case against Argentina’s President Cristina Fernandez de Kirchner has been again dismissed by an appeals court. Cristina Fernandez de Kirchner was accused of shielding Iran from prosecution over the 1994 bomb attack against a Jewish centre in Buenos Aires. Two out of three judges voted to reject an appeal by prosecutors, saying that no crime had been committed. Cristina Fernandez de Kirchner has always denied the allegations. The original decision to throw out the case against Cristina Fernandez de Kirchner was made by Federal Judge Daniel Rafecas in late February. He made his conclusions after examining a 350-page report that had been prepared by special prosecutor Alberto Nisman before his unexplained death in January. The court of appeals agreed with Judge Daniel Rafecas’ conclusion that there was no evidence pointing to President Cristina Fernandez de Kirchner. The sudden death of Alberto Nisman and the case against Cristina Fernandez de Kirchner has dominated Argentine headlines for much of this year. The prosecutor was found dead in his apartment on January 18 with a bullet wound to the head and a pistol lying by his side. Alberto Nisman had been only hours away from testifying in Congress against Cristina Fernandez de Kirchner and Foreign Minister Hector Timerman. The circumstances of the prosecutor’s death are still unclear. Earlier in March, Alberto Nisman’s family claimed independent tests showed that he was murdered. The government has rejected any role in his death. Cristina Fernandez de Kirchner said Alberto Nisman had been fed misleading information by a rogue intelligence agent who was trying to discredit her government. Eighty-five people died in the car bomb attack on July 18, 1994 which completely destroyed the seven-storey Argentine Israelite Mutual Association (Amia) cultural centre in Buenos Aires. 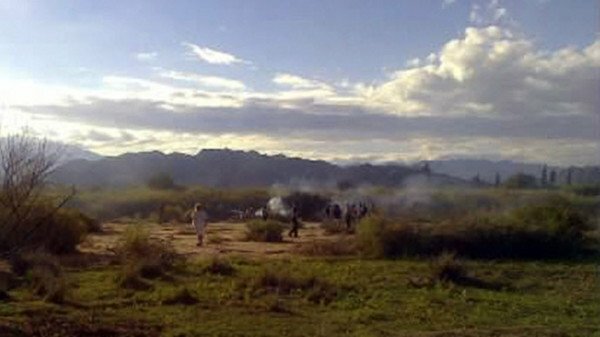 Ten people, including three French sports stars, have been killed in a helicopter crash in Argentina, the French presidential office confirms. Eight French nationals and their two Argentine pilots died when two helicopters collided in La Rioja province in the country’s north-west. They crashed near Villa Castelli, about 720 miles from Buenos Aires, according to local officials. Another cast member, figure skater Philippe Candeloro, was said to be “extremely shocked but unharmed”. “An explosion occurred and it’s believed that they must have collided,” said La Rioja Secretary of Security Cesar Angulo. “Aeronautical experts will have to determine that,” he added. “We learn with great sadness about the accident during the filming of the Dropped show,” said a statement issued by TF1. A controversial case against Argentina’s President Cristina Fernandez de Kirchner and Foreign Minister Hector Timerman has been dismissed by a federal judge on February 26. Cristina Fernandez de Kirchner and Hector Timerman had been accused of covering up alleged Iranian involvement in a bomb attack against Amia Jewish centre in 1994. Judge Daniel Rafecas said that there was no merit to the accusation as no crime had occurred. 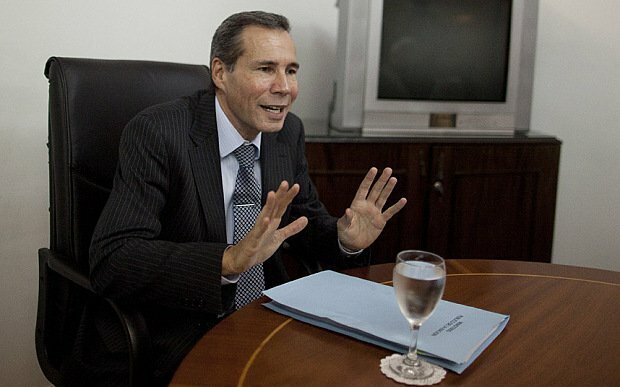 The accusation came from prosecutor Alberto Nisman who was found dead last month in his flat. Judge Daniel Rafecas said he would discontinue the case. “The evidence gathered far from meets the minimal standard,” said a statement from Argentina’s judiciary system. Alberto Nisman was due to testify in Congress against Cristina Fernandez de Kirchner when his body was found. The circumstances of his death have not been clarified. Cristina Fernandez de Kirchner said Alberto Nisman been fed misleading information by a rogue intelligence agent in order to discredit her government. The president and the foreign minister had been accused of acting to hide their involvement in the Amia Jewish centre bombing – Argentina’s worst terrorist attack, in which 85 people died. 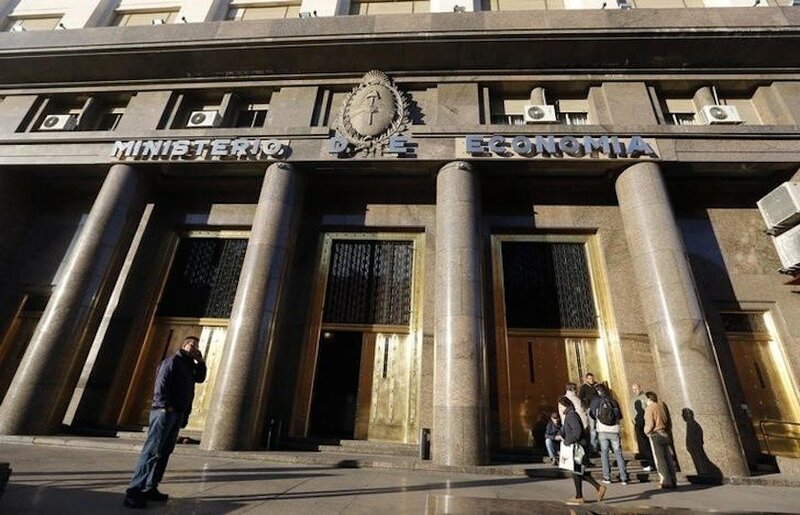 The lower house of the Argentine Congress has meanwhile approved a bill tabled by Cristina Fernandez de Kirchner scrapping the country’s secret agency, the Intelligence Secretariat. The proposal was first announced days after Alberto Nisman’s death, on January 18. A new federal investigative agency, which will be accountable to Congress, will replace it. Cristina Fernandez de Kirchner said the change was overdue because the agency had remained largely untouched since the end of military rule in 1983. The opposition accused the government of coming up with the proposal as a smoke screen for its involvement in the Amia bombing scandal. Hundreds of thousands of Argentines have rallied in Buenos Aires to mark one month since the death of prosecutor Alberto Nisman. The protest was called by federal prosecutors and attended by Alberto Nisman’s family and opposition politicians. They defied torrential rain to demand justice for Alberto Nisman, who had been investigating the government. 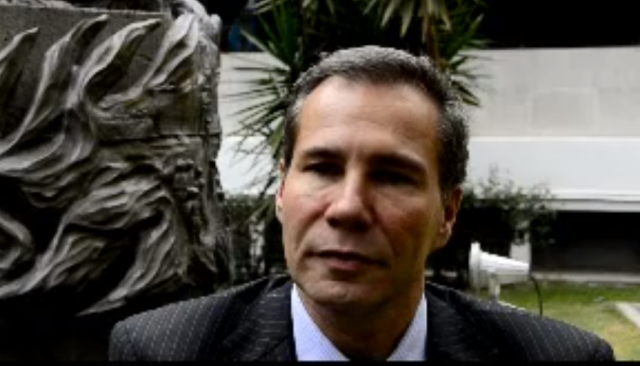 Prosecutor Alberto Nisman was found dead in his apartment on 18 January. It is still not clear whether he killed himself or was murdered. Alberto Nisman was investigating Argentina’s deadliest terrorist attack, the 1994 bombing of the Amia Jewish centre. The silent march was called by prosecutors demanding a full investigation. Alberto Nisman’s ex-wife, federal judge Sandra Arroyo Salgado, and their two daughters joined the demonstration, which lasted nearly two hours. Similar protests took place across the country. Argentines living in Spain, France, Israel and other countries also gathered to demand justice for Alberto Nisman. Officials have denounced the march as a political move to weaken the government. Alberto Nisman was found with a bullet wound to the head and a gun was lying next to him. Days earlier, he had published a 300-page report in which he accused President Cristina Fernandez de Kirchner and Foreign Minister Hector Timerman of covering up Iran’s alleged role in the bombing. His body was found just hours before he was due to appear before a congressional committee to present more details of his allegations. News of Alberto Nisman’s death and its timing led to speculation among some Argentines that the government may have played a role in it. The government has strongly denied both allegations. 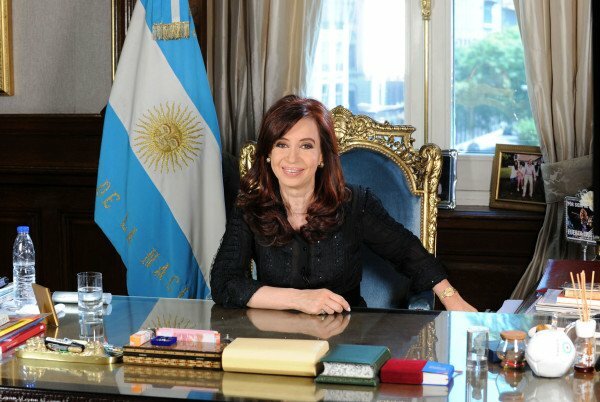 In an open letter published on her website, President Cristina Fernandez de Kirchner suggested rogue intelligence agents had fed Alberto Nisman false information in order to destabilize her government. She also said she was convinced Alberto Nisman’s death was not suicide. Days later, the president announced she planned to dissolve Argentina’s intelligence service, SI. Critics said the move was aimed at diverting attention away from Alberto Nisman’s death. Twitter users in Argentina and China have ridiculed President Cristina Fernandez de Kirchner for poking fun at how the Chinese speak. During a visit to China, the Argentine leader made reference to how some Chinese struggle to pronounce the letter “r”. Tweeting in Spanish, Cristina Fernandez de Kirchner wondered whether those at an event about trade were there for “lice” and “petloleum”. Her supporters said it was a light-hearted joke, but others disagreed. Cristina Fernandez de Kirchner suggested that the Chinese struggled to pronounce “rice”, “petroleum” and “Campora”, the Spanish name given to the youth wing of her political party. “More than 1,000 participants at the event… Are they all from the Campola and in it only for the lice and petloleum?” she tweeted. It was a play on a domestic political joke: her critics accuse her supporters of attending party events only so they can get a free sandwich and a soft drink. Campola and China became trending topics on Twitter in Argentina and the episode filled the front pages of all newspapers. 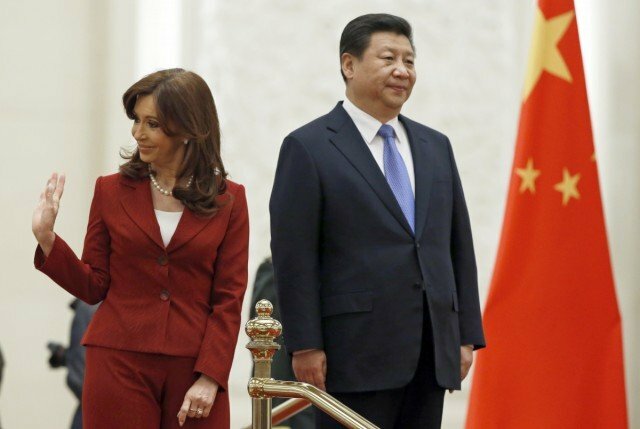 Cristina Fernandez de Kirchner was in China to boost trade with Argentina. According to one of his colleagues, Argentine prosecutor Alberto Nisman, who died in unexplained circumstances, borrowed a gun because he did not trust the police protecting him. Diego Lagomarsino lent Alberto Nisman a gun the day before he was found shot dead. Alberto Nisman was about to testify about alleged attempts to cover up Iranian involvement in a bombing in 1994. Prosecutors have yet to establish if he committed suicide or was killed. He will be buried on January 29. Alberto Nisman had been due to appear in Congress to publicly accuse President Cristina Fernandez de Kirchner of being behind an attempt to hide the alleged involvement of Iranian suspects in the Jewish centre bombing, which killed 85 people. He was found dead in his apartment on January 18. On January 28, Alberto Nisman was mourned at a private wake. He will be buried on January 29 at a Jewish cemetery in La Tablada, on the outskirts of Buenos Aires. Diego Lagomarsino, a computer specialist and long-time acquaintance of Alberto Nisman, lent him the gun that killed him. He told a news conference that Alberto Nisman had told him he “feared for the safety of his daughters”. “I told him, <<Look this (gun) is old, it’s an old weapon… I don’t know if you will be able to protect yourself with it>>. Diego Lagomarsino, the last person to see Alberto Nisman alive, said he showed him how to load and unload the gun, but the prosecutor had assured him he would not use it. Diego Lagomarsino has been charged with giving a firearm to someone who was not the registered owner – the only person to be charged in the case so far. Alberto Nisman’s security chief has been suspended and is under investigation along with two other members of his guard. Ruben Benitez had co-ordinated a security team of 10 officers to protect Alberto Nisman. Police say the team broke with protocol by remaining out of contact with Alberto Nisman for several hours on the day of his death and failing to report to their superiors. 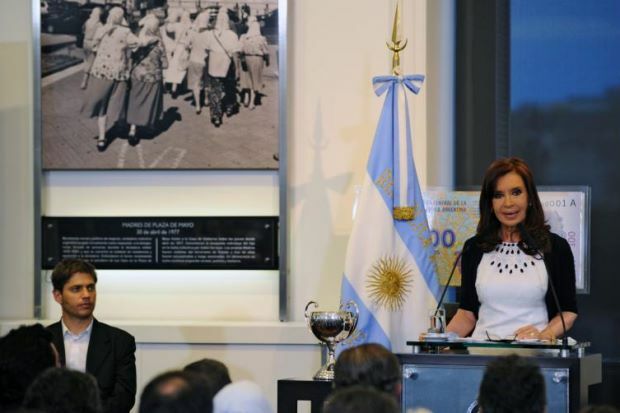 In a national address on January 26 and in two letters, President Cristina Fernandez de Kirchner accused former intelligence agents of manipulating Alberto Nisman to bring charges against her. She suggested he was killed to increase the damage to her. Cristina Fernandez de Kirchner announced plans to disband Argentina’s intelligence services and replace them with a new agency. Investigators have said they believe Alberto Nisman committed suicide, but have classified his death as suspicious because they could not rule out murder or an “induced suicide”. Argentine federal prosecutor Alberto Nisman, who accused President Cristina Fernandez de Kirchner last week of a cover-up has been found dead at his home in the capital, Buenos Aires. Alberto Nisman was investigating the 1994 bombing of a Jewish centre in Buenos Aires in which 85 people died. On January 14, he accused Cristina Fernandez de Kirchner of involvement in a plot to cover up Iran’s alleged role in the bombing. The president’s spokesman dismissed the allegations as “ridiculous”. Alberto Nisman, 51, was found dead by his mother in the bathroom of his home. The Security Ministry released a statement saying that Alberto Nisman’s bodyguards had raised the alarm after he failed to answer their phone calls on January 18. Concerned about his welfare, they fetched Alberto Nisman’s mother and tried to enter his apartment, the statement said. They found the door locked from the inside with a key still stuck inside. After a locksmith gained access, they found Alberto Nisman’s body in the bathroom. According to the statement, a gun and a cartridge shell were found next to his body. Alberto Nisman was due to give evidence at a congressional committee hearing on January 19 to outline his accusations against President Cristina Fernandez de Kirchner and other officials. He had published a 300-page report on January 14 alleging that the president and Foreign Minister Hector Timerman had opened a secret back channel to Iranians suspected of involvement in the bombing of the community centre. 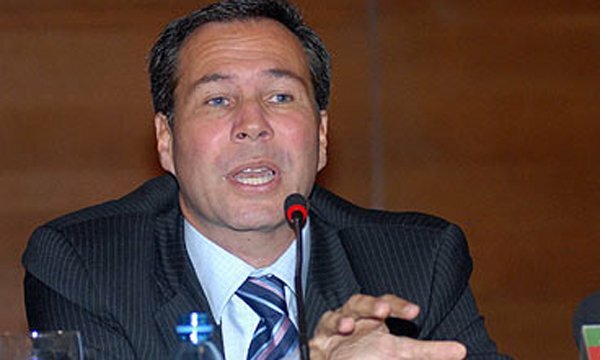 Alberto Nisman alleged that the scheme was intended to clear the Iranian suspects in order to facilitate a trade deal between Iran and Argentina. He said that he had issued a request that a judge question the president and the foreign minister “for being authors and accomplices of an aggravated cover-up and obstruction of justice regarding the Iranians accused of the AMIA [Israeli-Argentine Mutual Association] terrorist attack”. The car bombing of the seven-storey building was the worst terrorist attack in Argentina’s history. In 2007, Argentine prosecutors accused Iran of planning and financing the attack, and the Lebanese militant group Hezbollah of carrying it out. Iran dismissed the allegations as “baseless”. So far, no-one has been convicted in connection with the AMIA attack. Last July, at events marking the 20th anniversary of the bombing, Pope Francis demanded justice for the victims. 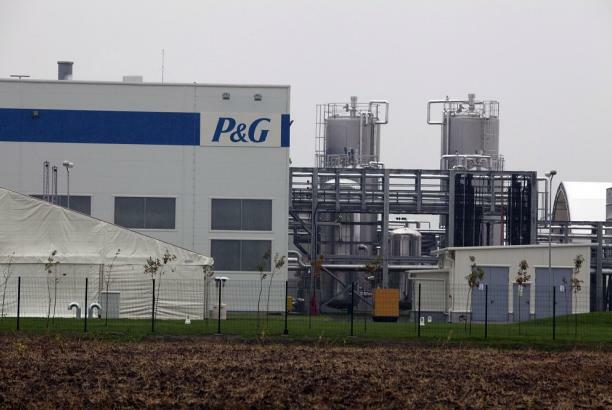 Argentina has banned Procter & Gamble (P&G) from doing business in the country, accusing the company of tax fraud. A statement on the presidential website, published on November 2, said P&G had inflated the price of imports by $138 million in an effort to get money out of the South American country. Argentina also accused the company of attempting to avoid taxes. P&G said it was working to understand and resolve the allegations. “We don’t pursue aggressive tax/fiscal planning practices as they simply don’t produce sustainable results,” said P&G spokesman Paul Fox. The alleged fraud involves shipments of razors and other hygiene products. 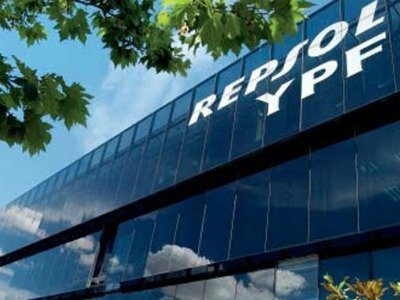 The statement, published on behalf of Argentina’s Federal Administration of Public Revenue (AFIP), added that details of the alleged fraud have been sent to its counterpart in the US – the Securities and Exchange Commission. P&G has been operating in Argentina since 1991 and currently runs three manufacturing plants and two distribution centers in the country. New York Judge Thomas Griesa has ruled that the Republic of Argentina is in contempt of court for refusing to obey an order to repay the debt it owes to two US hedge funds. 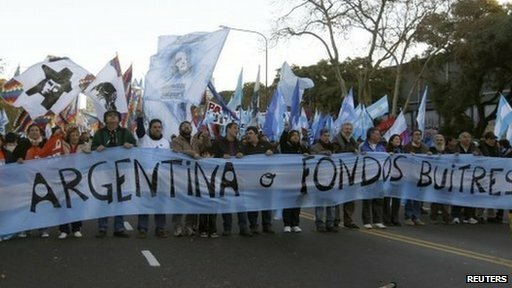 Argentina has been mired in a US court dispute with the funds, which bought the country’s debt at a discount after its default in 2001. In July, Judge Thomas Griesa ruled that Argentina must repay the funds before it can repay other bondholders. 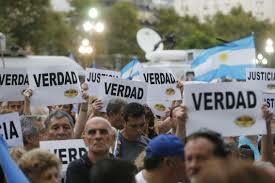 Argentina refused, sending the country into default. On September 29, Argentina’s ambassador to the US warned in a letter to Secretary of State John Kerry that if the country was found to be in contempt of court, it would represent “unlawful interference” in Argentina’s domestic affairs. 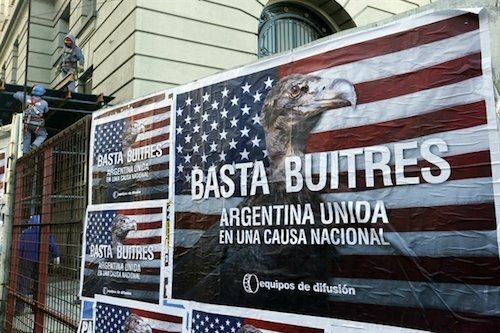 And in a strong statement, the Argentine Foreign Ministry in Buenos Aires said Judge Thomas Griesa’s ruling “violates international law” and “has no practical effect other than to provide new elements helpful to the slanderous political and media campaign conducted by vulture funds against Argentina”. Judge Thomas Griesa said he would decide on a penalty at a later date. After Argentina defaulted on about $100 billion of debt in 2001, the country negotiated a settlement with the majority of its bondholders to repay a certain portion of the amount owed. Some bondholders accepted swaps for lesser-valued bonds but were not paid interest on those bonds. However, two hedge funds – NML Capital and Aurelius Capital Management – have demanded full repayment of the $1.5 billion they are owed, and have sued to prevent Argentina from paying back only its restructured bonds. Argentina has refused, saying that they are “vulture funds”, and has attempted to enact legislation to skirt Judge Thomas Griesa’s ruling. This has left two banks in New York – Bank of New York Mellon and Citigroup – with millions of dollars on hold that Argentina had planned to pay in interest to holders of its renegotiated debt. 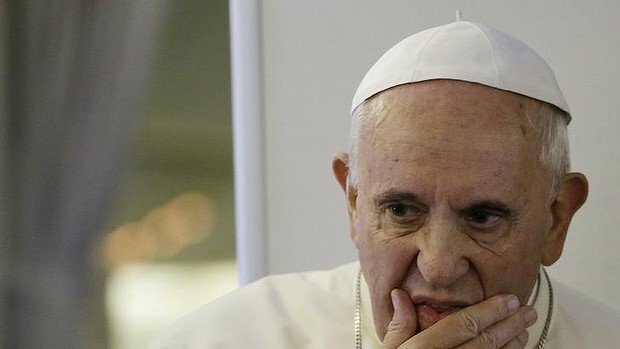 Three relatives of Pope Francis have been killed when their car slammed into the back of a truck on a highway in central Argentina, the Vatican’s official broadcasting service said on Tuesday. Pope Francis’ nephew, Emanuel Bergoglio, who was driving the car was in serious condition following the accident just after midnight on Monday. Emanuel Bergoglio’s wife, 35, and two children aged 2 years and 8 months died. “The pope has been informed and is deeply grieved by the tragic news. He asks all those who share his pain to join with him in prayer,” said a statement on the website of Radio Vaticana. The driver of the grains truck, Raul Pombo, told local television stations he felt the impact and found Emanuel Bergoglio’s vehicle wedged under the rear of his vehicle. “I began stopping passing cars to ask for their fire extinguishers because the car was on fire,” Raul Pombo said. The region’s highway patrol chief, Jorge Rainieri, called the impact “powerful” and TV pictures showed the mangled wreckage of the compact car. The accident occurred in Argentina’s central Cordoba province. Argentina is blaming the US for its debt default, calling the mediator in failed talks “incompetent”. Cabinet Chief Jorge Capitanich said Argentina was considering opening proceedings at international tribunals in The Hague after it was declared to be in technical default. The announcement came just hours after last-minute talks in New York with a group of bond-holders failed. The bond-holders are demanding a full pay-out of $1.3 billion. Argentina says the bond-holders are “vultures” using the South American country’s debt problems to make a big profit. The investors are US hedge funds that bought debt cheaply after Argentina’s economic crisis in 2001-2002. They are also known as “hold-outs” because they did not sign up to a restructuring of debt which the majority of bond-holders agreed to in 2005 and 2010. Under that deal, investors agreed to settle for about one-third of what they were originally owed. However, hedge funds NML and Aurelius Capital Management bought up a large chunk of the remaining distressed debt at low prices. They demand to be paid the full face value of their holding. Jorge Capitanich said Argentina would denounce the “vulture funds” before the International Court of Justice at The Hague and the UN General Assembly. He said the US was to blame for its “shameful” handling of the funds’ case against Argentina. “The responsibility lies with a state, that of the United States of America,” he said in a news conference at the presidential palace. Jorge Capitanich accused the US of “not acting in an adequate manner”. The Argentine government had expected the dispute to go all the way to the US Supreme Court, which would have bought the country more time. In June, the Supreme Court declined to hear Argentina’s appeal against the decision of a lower court that made it liable for the money. Under that court’s ruling, Argentina cannot use the US financial system to keep paying the restructured bondholders unless it also pays the “vulture funds”, placing it in technical default. However, Jorge Capitanich denied the country was in default at all, arguing that it has the money to pay the interest that became due to the restructured bondholders on June 30 but that it was barred from doing so by the court’s ruling. He suggested that holders of its performing debt demand their money from the US judge who blocked the June 30 interest payment. Jorge Capitanich also suggested one way out of the impasse would be for a third party to buy out the hold-out investors. He said that move would allow them to side-step a clause that was seen as a major stumbling block on the way to a deal. The clause, known as RUFO (rights on future offers) states that Argentina cannot favor the hold-outs over those who accepted the restructuring deals. Jorge Capitanich also said that in the meantime Argentina would maintain its policies to stimulate the economy. Ratings agency S & P declared Argentina in default after the government missed a deadline for paying interest on $13 billion of restructured bonds. Argentina has defaulted on its debt for the second time in 13 years after last-minute talks in New York with a group of bond-holders ended in failure. So-called “vulture fund” investors were demanding a full pay-out of $1.3 billion on bonds they hold. A US judge had set a deadline of 04:00 GMT on Thursday for a deal. The crisis stems from Argentina’s 2001 default. Late on Wednesday evening, Argentina’s Economy Minister Axel Kicillof said the investors had rejected the government’s latest offer. “Unfortunately, no agreement was reached and the Republic of Argentina will imminently be in default,” Daniel Pollack, the court-appointed mediator in the case, said in a statement on Wednesday evening. The fresh default is not expected to affect Argentina’s economy in the same way it did in 2001, when dozens were killed in street protests and the authorities froze savers’ accounts to halt a run on the banks. “The full consequences of default are not predictable, but they certainly are not positive,” Daniel Pollack said. Speaking at a news conference in New York, Axel Kicillof said Argentina would not do anything illegal. The investors, also known as “hold-outs”, are US hedge funds that bought debt cheaply after Argentina’s economic crisis. 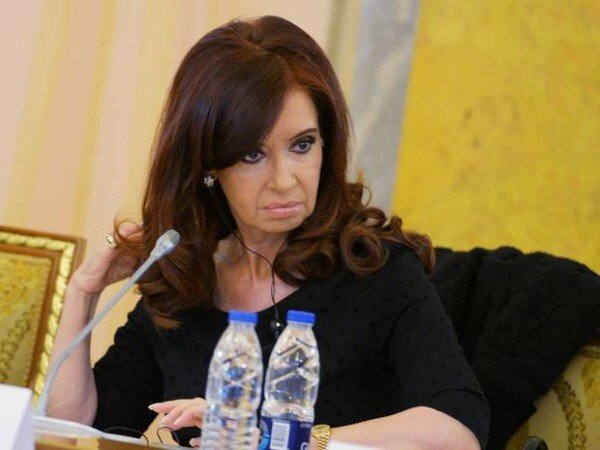 President Cristina Fernandez de Kirchner has described as vultures the minority bond-holders – including Aurelius Capital Management and NML Capital. She accuses them of taking advantage of Argentina’s debt problems to make large profits. The US courts have blocked payments to other bondholders who agreed a separate deal with Argentina, until agreement with the “hold-outs” is reached. Axel Kicillof said he planned to return to Argentina after the news conference, saying the country would do what is needed to deal with what he called an unfair situation. Economy Minister Axel Kicillof has returned to the negotiating table in a last-ditch attempt to prevent Argentina defaulting on its bonds. Axel Kicillof’s talks with “hold-out” investors ended late on Tuesday night in New York without agreement. They are demanding a full pay-out of $1.3 billion on the bonds they hold. A US judge has ruled that the “hold-outs” must be paid by Wednesday night if no deal is agreed. The government’s rhetoric has been clear. The “hold-outs” are US hedge funds that bought debt on the cheap during Argentina’s darkest hours and never agreed to restructuring. President Cristina Fernandez de Kirchner calls them vultures, accusing them of taking advantage of Argentina’s debt problems to make a big profit. What makes the problem worse is that if the “hold-outs” get their way, other bondholders who agreed to take cuts of up to 70% in what they are owed may also demand full repayment. Despite the defiant tone of the government, many people seem resigned. Argentina has defaulted before and most probably will do it again. Vladimir Putin is visiting Argentina as part of his Latin American tour in an apparent bid to seek allies to counter US and Western influence. The Russian president spent Friday in Cuba – the first stop of his tour – before making an unexpected visit to Nicaragua, the first by a Russian leader. Vladimir Putin will meet left-wing regional heads of state in Argentina. He goes onto Brazil to attend the football World Cup final on July 13. Russia will host the next tournament in 2018. Later Vladimir Putin will attend a summit of the BRICS (Brazil, Russia, India, China, South Africa) emerging economies in the Brazilian city of Fortaleza. 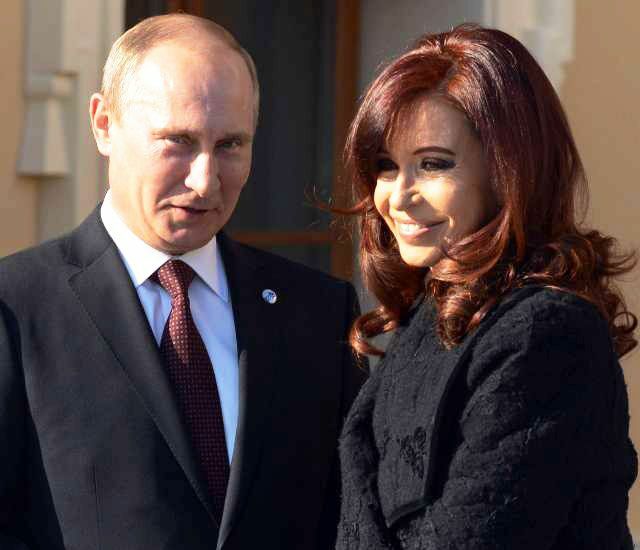 Vladimir Putin has been holding bilateral talks with Argentina’s President Cristina Fernandez de Kirchner. Correspondents say Argentina is desperate for foreign investment as it faces a possible default after investors rejected its debt restructuring. Vladimir Putin will then have dinner with other South American leaders including the presidents of Venezuela, Bolivia and Uruguay. In an unauthorized biography of Argentina’s President Cristina Fernandez de Kirchner, author Lindner Franco tells about lovers, bookmarks, money, business and power are the ingredients that make up the life of a woman of character, personality, and these same characteristics are repeated in men who choose politics. Lindner Franco’s Los Amores de Cristina (The Lovers of Cristina) is also presenting a dialogue between Vice President Amado Boudou and banker Jorge Brito, to which the President was so convinced he was behind a run on currencies to collapse the peso. “Tell the president that I have nothing to do with that,” says the banker to Amado Boudou. “Do not be problem. I talk to the mommy and I solve it” Amado Boudou responds. But the phones were tapped and Cristina Fernandez de Kirchner heard the dialogue; it was “the beginning of the end for Boudou”. 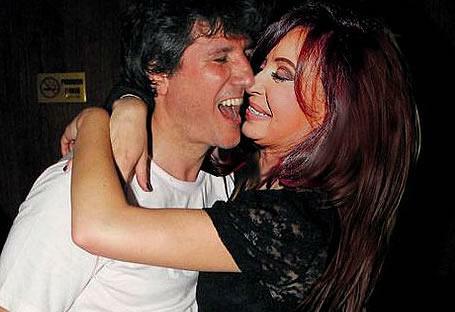 Amado Boudou is now being charged in a corruption case. He is suspected of using his influence when he was economy minister to ensure that a contract to print Argentina’s currency was awarded to a company he allegedly controlled. An Argentine judge has charged VP Amado Boudou in a corruption case. Amado Boudou is suspected of using his influence when he was economy minister to ensure that a contract to print Argentina’s currency was awarded to a company he allegedly controlled. Earlier this month, the vice-president was questioned for more than seven hours by a judge, in a closed-door court session. If convicted, Amado Boudou faces up to six years in jail. He denies any wrongdoing and has rejected calls to step down. 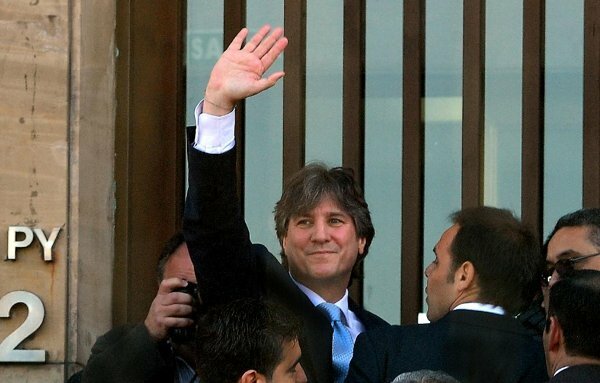 The judge ruled that Amado Boudou would remain free while awaiting trial. Five other suspects have also been charged. The case involves the Ciccone Calcografica printing company that has been under investigation for more than three years. Amado Boudou is suspected of using a front man to buy the company when it filed for bankruptcy in 2010. The company later received tax breaks to pay its debts. It also published material used in the re-election campaign of President Cristina Fernandez de Kirchner in 2011. Amado Boudou was once seen as a possible successor to President Cristina Fernandez de Kirchner. 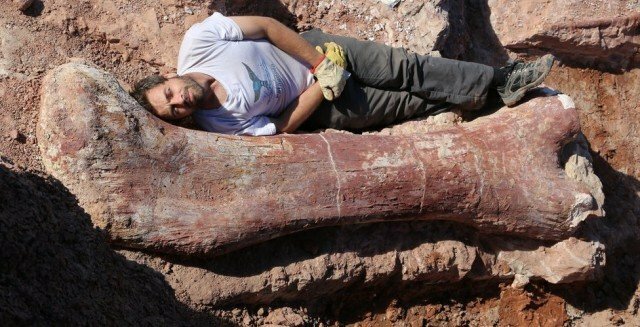 Paleontologists in Argentina have discovered fossilized bones of a dinosaur believed to be the largest creature ever to walk the Earth. Based on its huge thigh bones, the dinosaur was 130 ft long and 65 ft tall. Weighing in at 77 tonnes, it was as heavy as 14 African elephants, and 7 tonnes heavier than the previous record holder, Argentinosaurus. A local farm worker first stumbled on the remains in the desert near La Flecha, about 135 miles west of Trelew, Patagonia. The fossils were then excavated by a team of paleontologists from the Museum of Palaeontology Egidio Feruglio, led by Dr. Jose Luis Carballido and Dr. Diego Pol. “It will be named describing its magnificence and in honor to both the region and the farm owners who alerted us about the discovery,” the researchers said. The picture is muddied by the various complicated methods for estimating size and weight, based on skeletons that are usually incomplete.